The bag's thermal seals, finished edges, treated nylon backing and a fluid-resistant zipper create a leak-proof inner chamber that protects service providers from bacteria-laden body fluids. 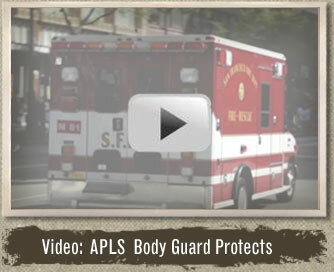 APLS Body Guard is also available with a surface-active agent for odor control. Photo Courtesy of U.S. Navy by Mass Communication Specialist 2nd Class Michael Hight.